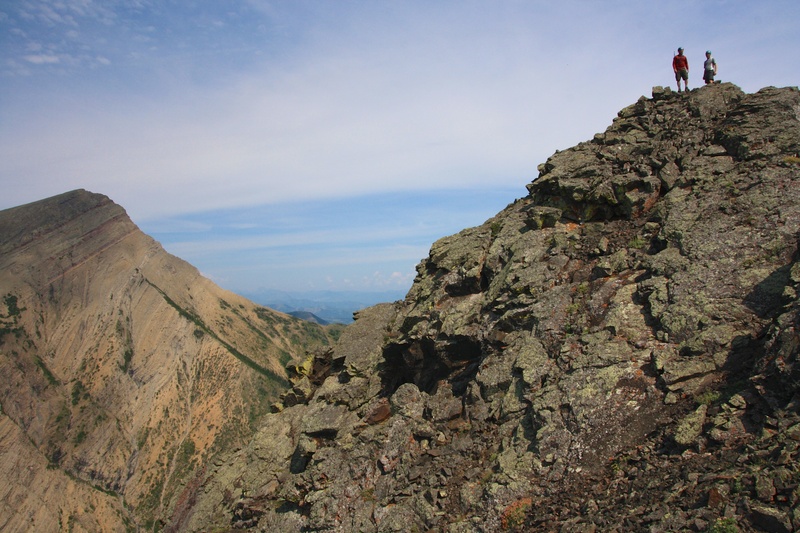 The summit of Pincher Ridge (far left) from Victoria Peak. Our route would go up the face of the northern ridge (foreground far left) and then along a gentle and colourful ridge to the summit. 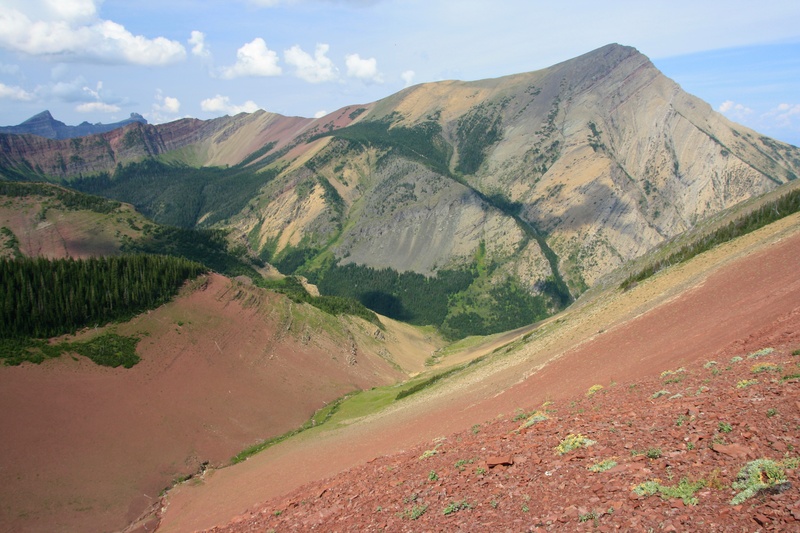 Pincher Ridge was a fantastic scramble for many reasons. First of all, my cousin Bruce drove all the way from Calgary to join Jeff and I on this trip. Bruce loves to hike and it was great to have his company and to share some of the sights and sounds of the Castle Crown Region with him. Secondly, we tried a route that we have never heard of anyone using before. This made the day even more exciting as we enjoyed what turned out to be terrific scrambling – though I’m sure Bruce was wondering what he had gotten himself into when I told him that we were going up the side of a mountain on a route that as far as we could tell, was largely unexplored. 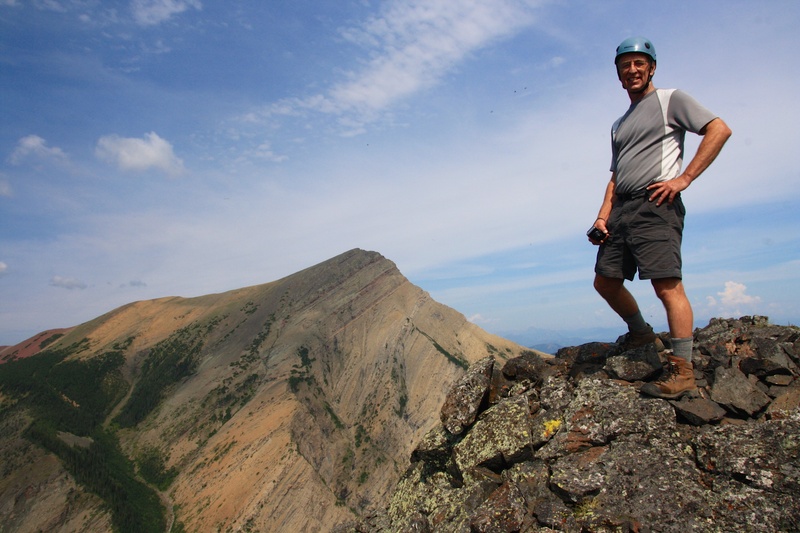 Finally, Pincher Ridge was the last peak that I needed to summit to complete the string of front range mountains in the Castle Crown that can be viewed from Lethbridge. 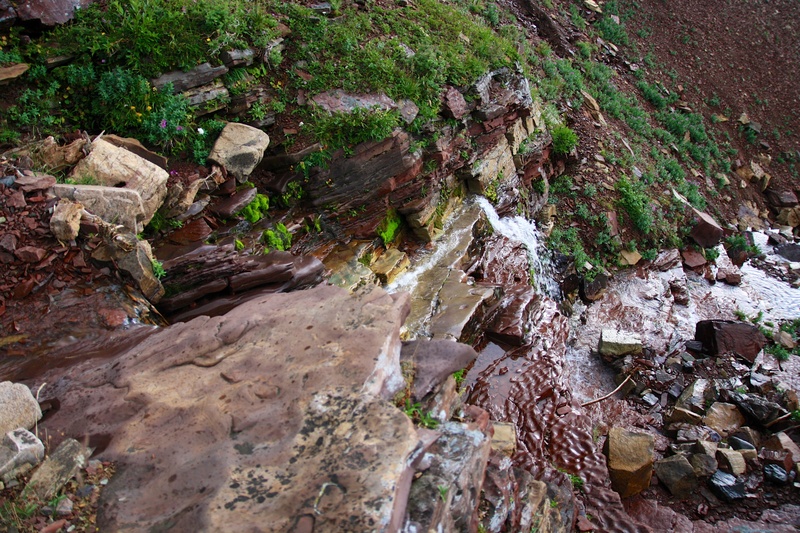 Truth be told, I deliberately avoid Waterton because everyone goes there. 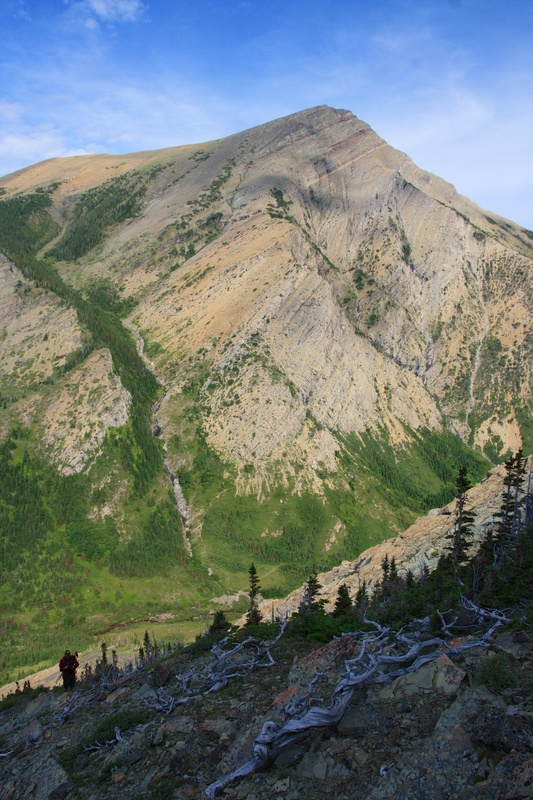 The Castle Crown Region borders Waterton National Park and shares the same stellar scenery but without the crowds. In hiking these mountains, Jeff and I have only run into one other set of hikers – which coincidently happened to be today, and who also just happened to be Bob Spirko and Dinah Kruze. Bob and Dinah have summited hundreds of peaks and their website has been of immense help to us in planning our trips. To meet them in person at the end of our trip was also a reason why it was such a great day. As I mentioned, I have never heard of anyone else trying this route before. Jeff and I got the idea for it last week as we studied Pincher Ridge from the slopes of Victoria Peak. 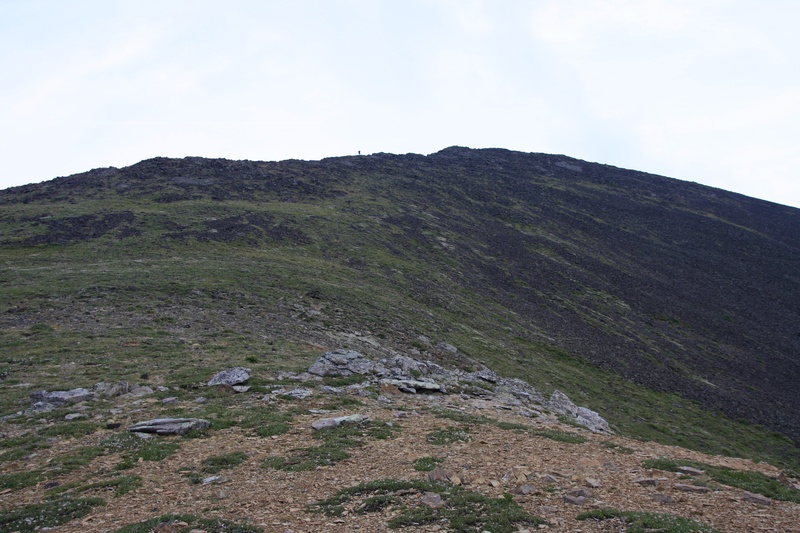 I knew that Bob and Dinah had tried to ascend the northern ridge from the east several years before, but had been turned back due to steep terrain and snow. 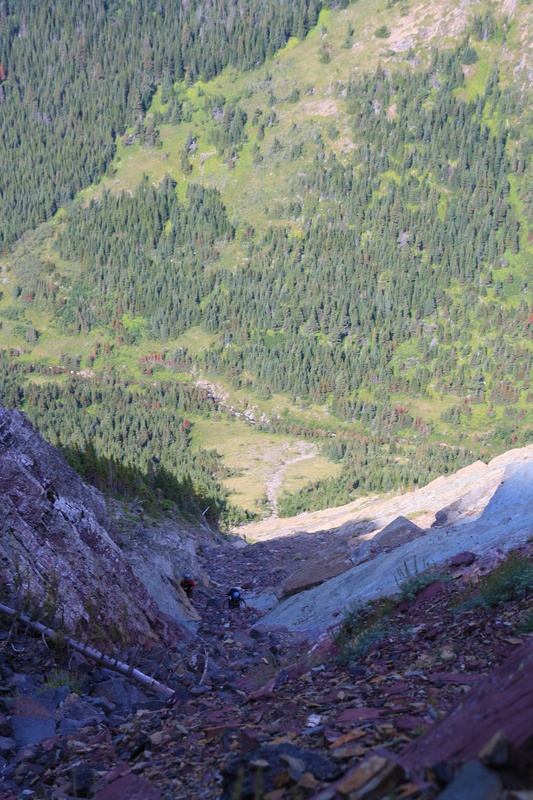 Jeff and I deduced that if we went further down the Victoria Ridge trail, crossed Pincher Creek, and then climbed up the north side of the ridge, we could traverse into a hanging valley, or, if we were lucky, could ascend to the top via a series of visible gullies. 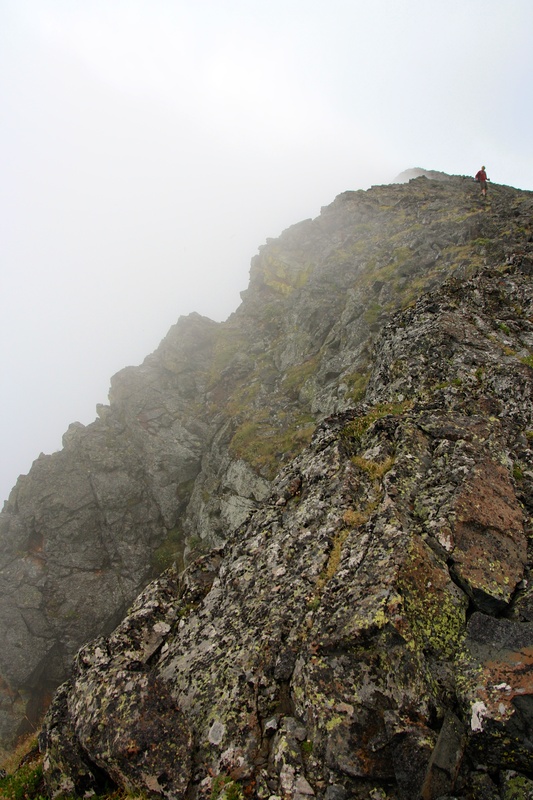 Once we began ascending the ridge we realized that this was indeed a good scrambling route with solid rock and many route options. 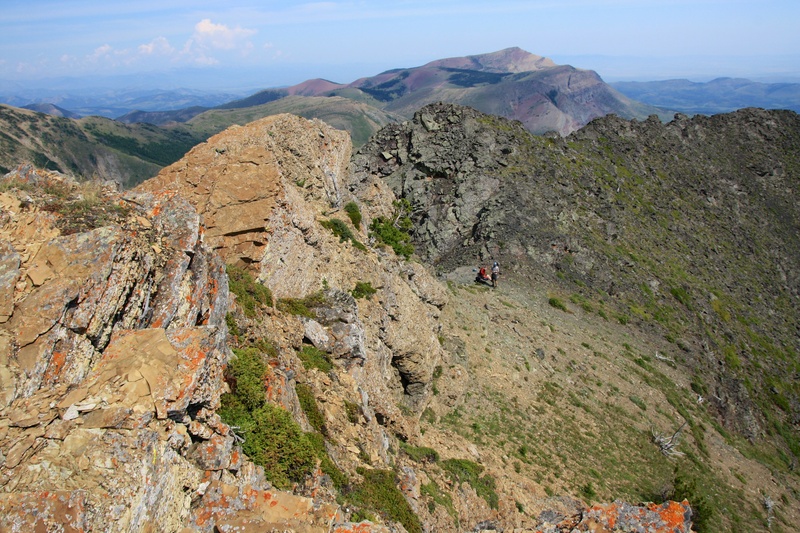 We emerged in a notch at the top of the ridge and from there we enjoyed a scenic hike to the summit of Pincher Ridge. 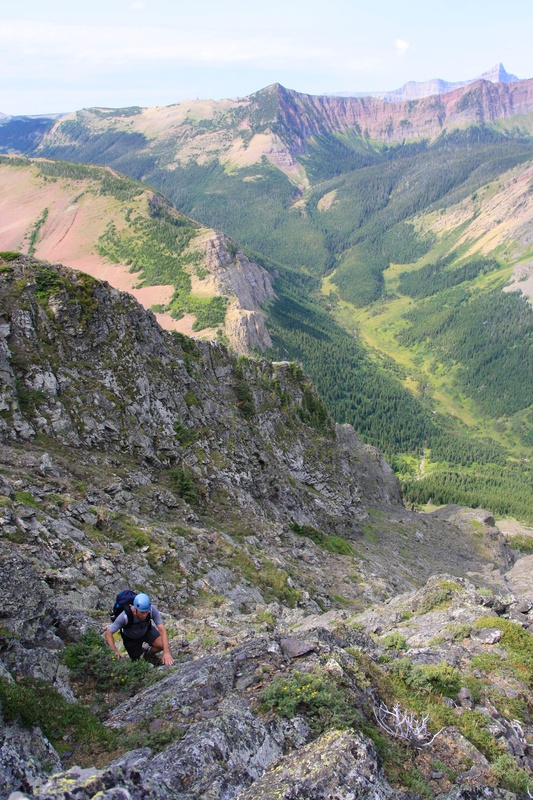 On our return, we dropped into the hanging valley and then traversed back toward the starting point of our scramble. We did this to avoid the dense vegetation that lay beneath the hanging valley and along the creek. 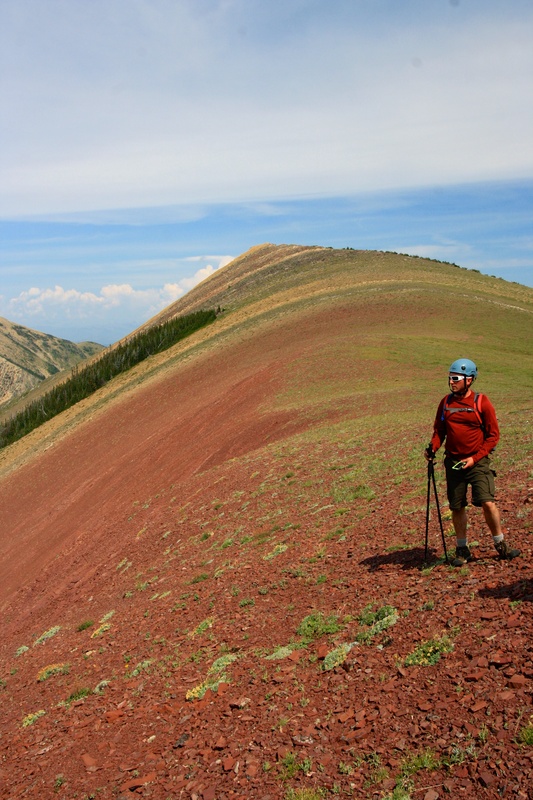 There are quicker ways to ascend Pincher Ridge, but this way provided some unique scenery. Our round trip time was 7.5 hours with a total distance of 17.5 km. Our total elevation gains were 1102m. Just as with Victoria Peak, we biked the gas road which made for a quick and easy exit at the end of the day. After stashing our bikes, we hiked the Victoria Ridge trail for about 1.5 km before leaving it to cross Pincher Creek and ascend the ridge. 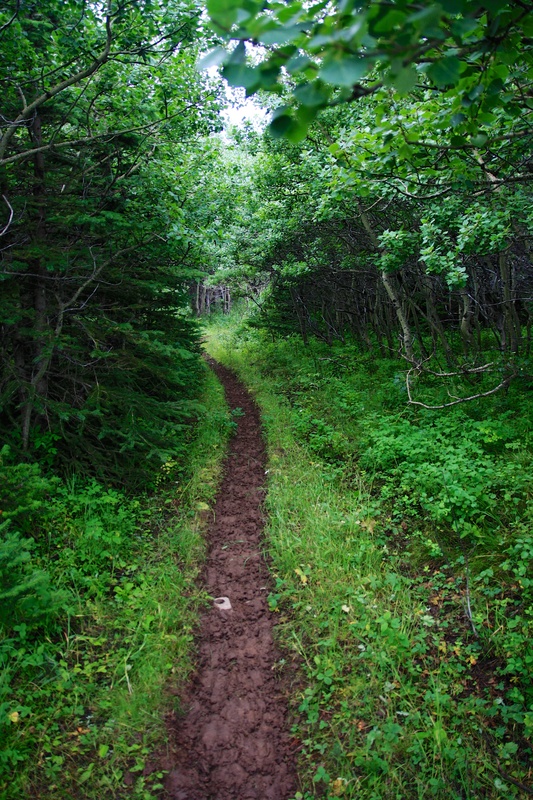 More cows probably walk this trail than hikers. 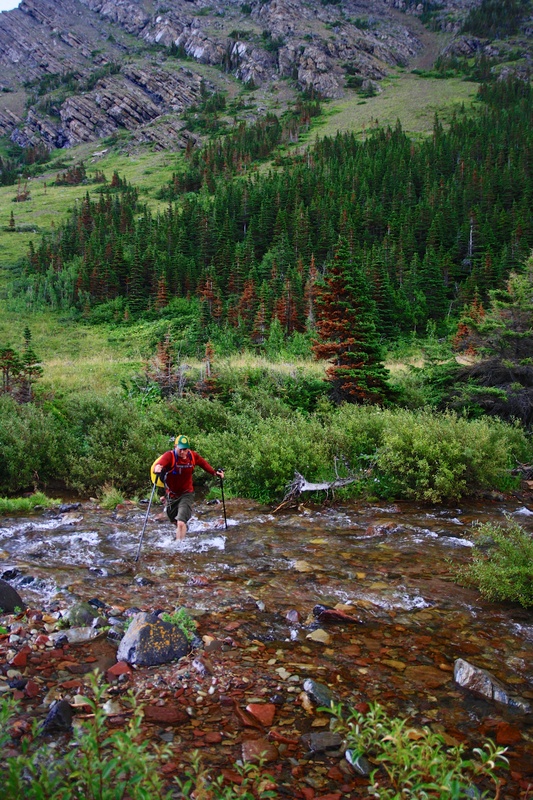 Bruce crosses a very cold Pincher Creek. 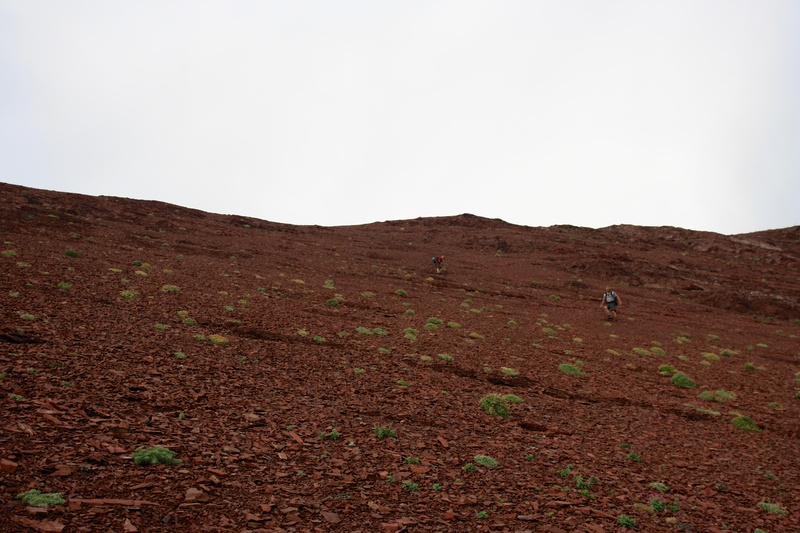 Jeff and Bruce leave the creek behind and begin climbing up the slopes of Pincher’s northern ridge. Behind them is a gully on the side of Victoria Peak that looks like it could provide another route to Victoria’s summit. Jeff skirts across some colourful rock on the edge of a gully. At this point, we are just about to get into the hands-on part of the scramble. You can see the Victoria Ridge trail below and the bare patch of ground where we crossed Pincher Creek. 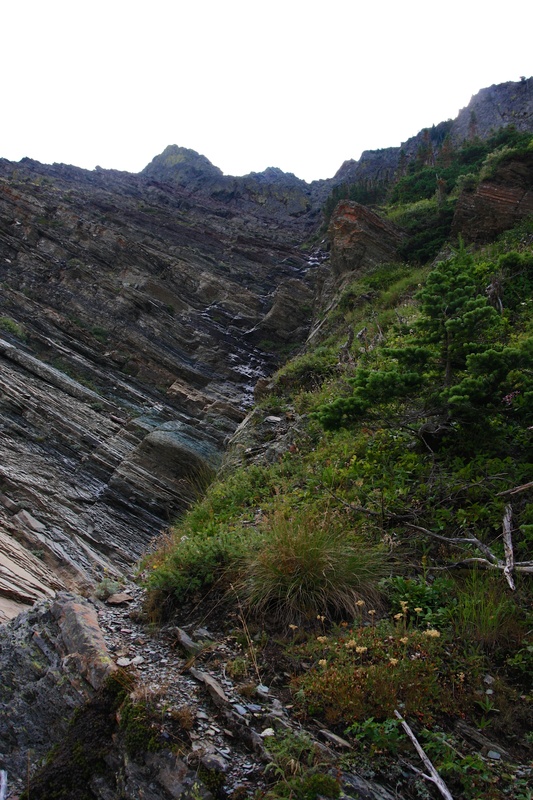 The gully on the side of Victoria Peak is a good marker for where to cross. It also shows that we have trended climber’s right on our ascent route. Getting into the fun stuff. For the most part, we ascended close to the tall cliff bands on the upper right. 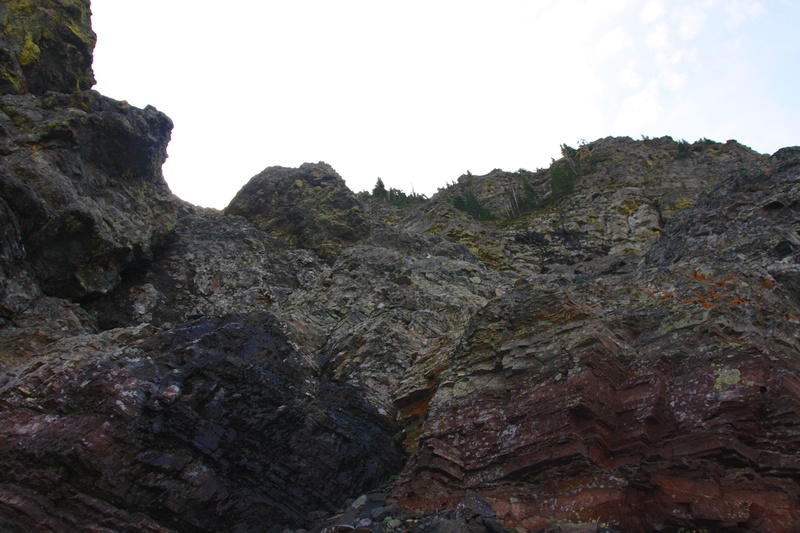 When we came to a large rock slab (foreground right), we went climber’s left and up a gully. We could also have gone climber’s right and closer to the cliffs. At the top of the gully we climbed around another rock face (centre) to the climber’s right using the slanted slope that is visible just to the right of centre. Bruce and Jeff work their way up the gully that was shown in the previous picture. The fun scrambling terrain continues above the gully and all the way to the top. 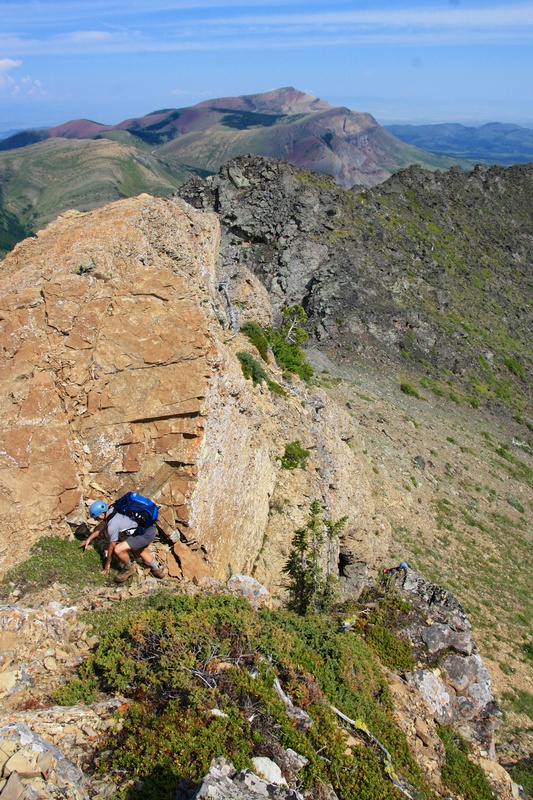 Bruce scrambles up the final few metres before the top of Pincher’s northern ridge. 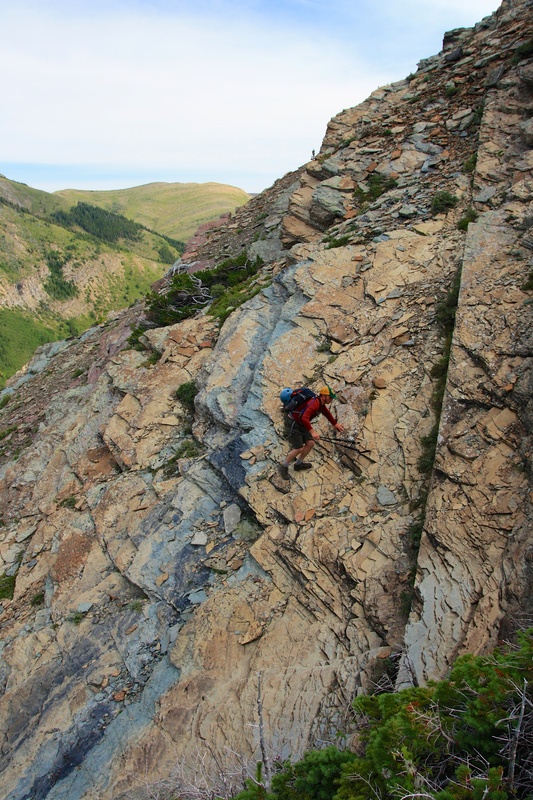 Our scrambling route emerged in a notch on Pincher’s northern ridge. From here we could see the summit of Pincher Ridge and the gentle ridge walk which lay ahead. Bruce and Jeff stand on the eastern side of the notch. Victoria Peak is in the background. Bruce stands in front of Victoria Peak. The view west from the top of the northern ridge. 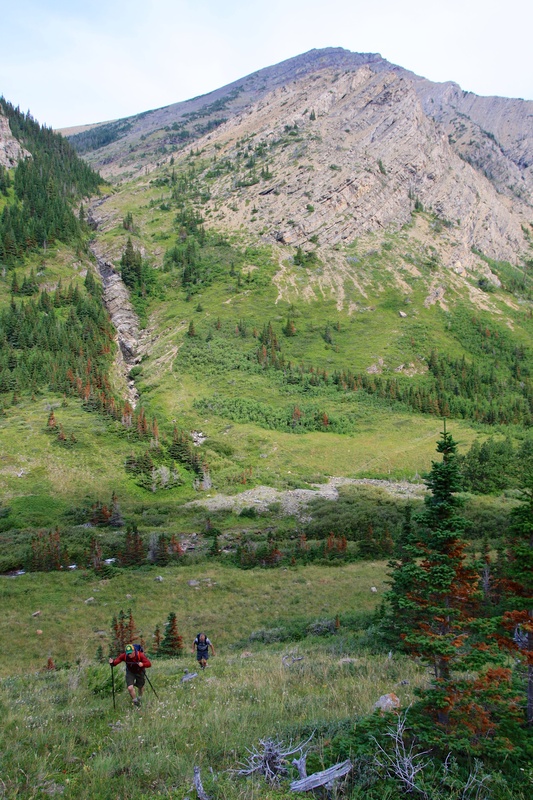 The centre peak of Pincher Ridge is visible on the left and Victoria Ridge is on the right. Bruce and Jeff enjoy lunch in the notch. Prairie Bluff Mountain is in the background. 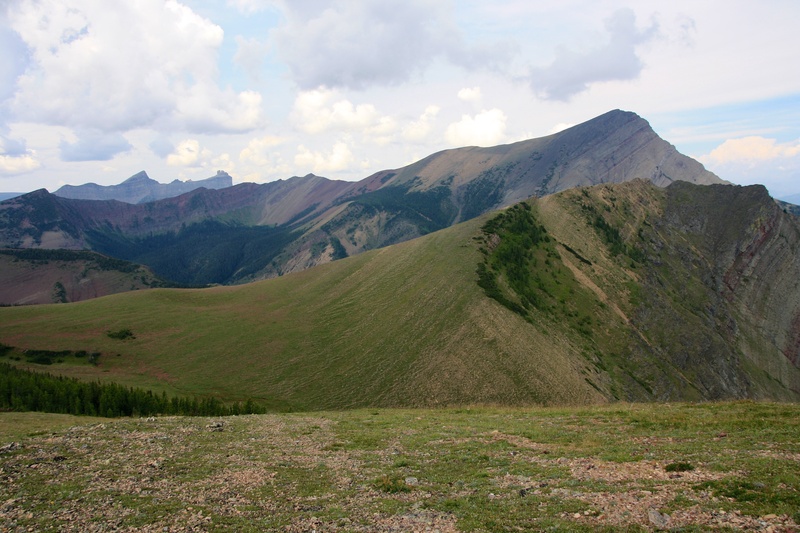 Another view of the summit of Pincher Ridge from the northern ridge. Bruce and Jeff scramble up through a weakness on the western side of the notch. 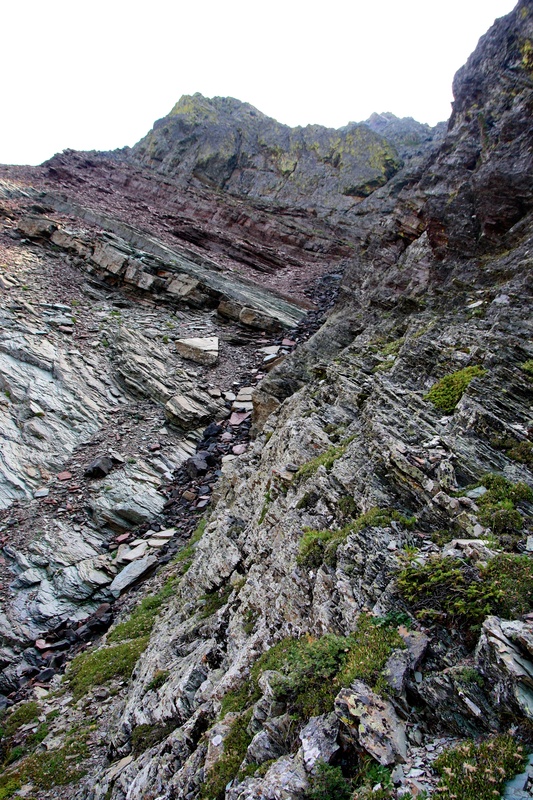 The western half of the notch was distinguished by lighter coloured rock while the eastern half by dark rock. 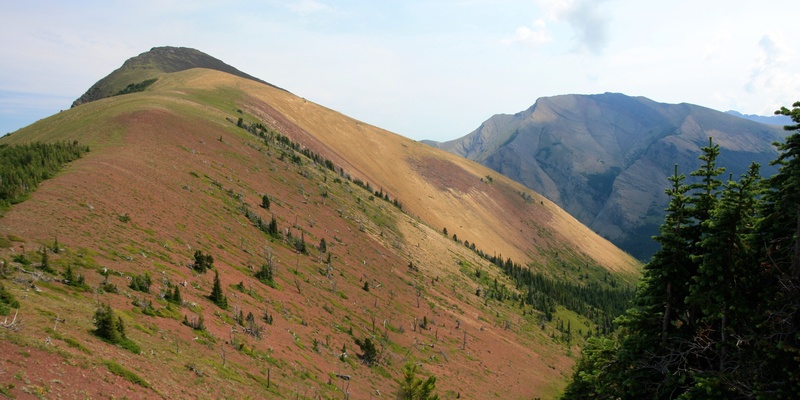 Pincher Ridge’s Centre Peak and the beginning of a scenic ridge walk. Looking down at the colourful hanging valley that we would go through on our descent. Looking back along the northern ridge. The sun would soon disappear as thunderstorms began to develop, but at this point it was still shining so we could enjoy the stunning colours. 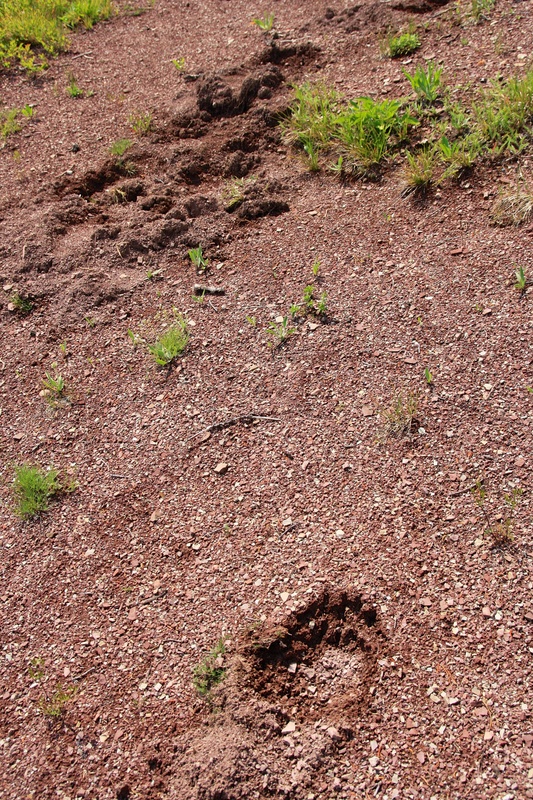 Along the ridge we came across some bear tracks and diggings. 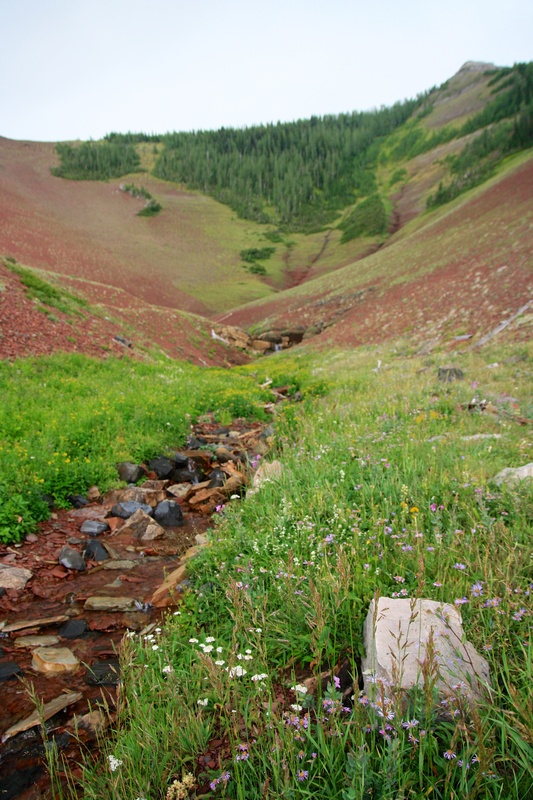 The view toward the summit of Pincher Ridge. It is an enjoyable and simple hike from here. Drywood Mountain is on the right. Looking back toward the northern ridge and Victoria Peak. Our scramble route emerged at the notch that is visible at the top of the distinct vertical line of light and dark rock. 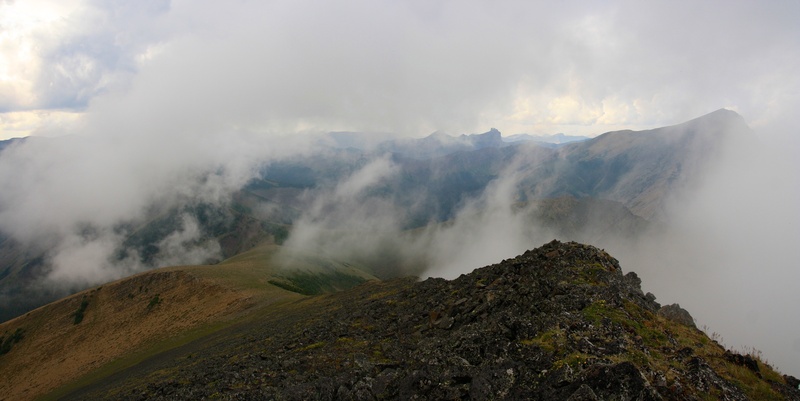 Looking northwest from the summit of Pincher Ridge. Victoria Peak (centre), Windsor Mountain and Castle Peak (left), and Table Mountain (distant centre right) are visible. Rapidly building cloud cover and rain would obscure our summit views. Looking west from the summit. Loaf Mountain and the Southwest Summit of Drywood are visible on the distant left. Bruce and Jeff are standing by the marginal summit cairn. Looking south toward Drywood Mountain. 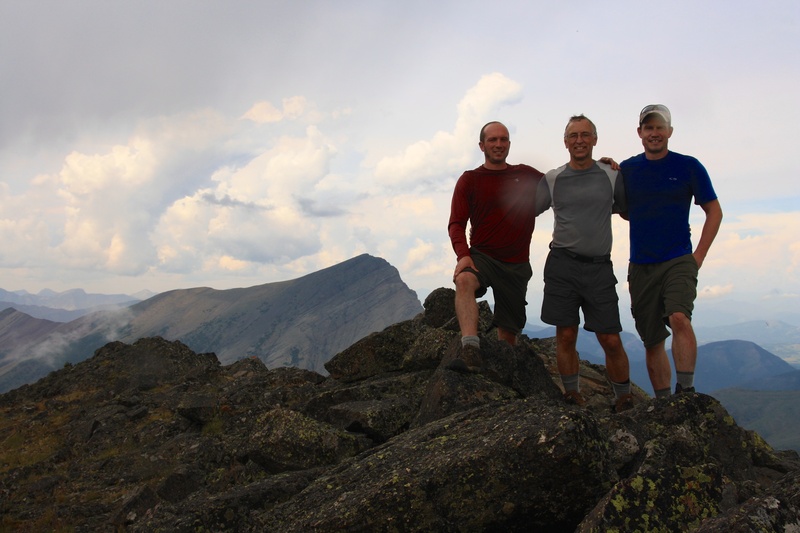 Bruce, Jeff and I on the summit. Unfortunately, it had begun to rain and thunder which meant that it would soon be time to head home. Despite the rain, clouds, and a swarm of flying ants, Bruce enjoys the limited views from the summit. As we head home, even more clouds begin to build. Looking back at Jeff as he descends from the summit. Jeff and Bruce descend into the hanging valley. The red argillite combined with the cloudy atmospherics make the terrain resemble something you might see on Mars. At this point, there was a significant amount of thunder and we wanted to get into the valley as quickly as possible. I’m sure Bruce was happy that he was the only one without metal hiking poles. Even with the cloud cover, the beauty of the hanging valley can readily be seen. Wildflowers covered the banks along the little stream. 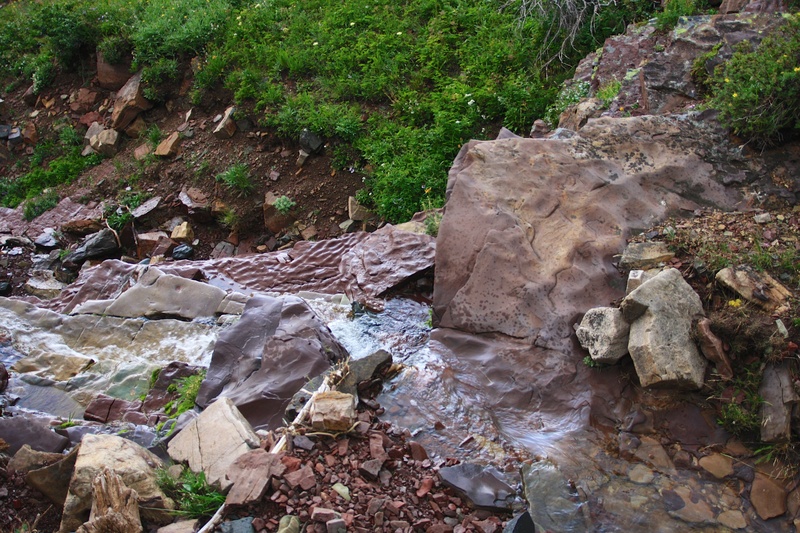 Unique rock formations and a variety of colour decorate a small waterfall along the stream. Here is another angle of the above picture. It was too bad that the sun was hidden by cloud cover. Given the right lighting conditions, this little valley would be magical. 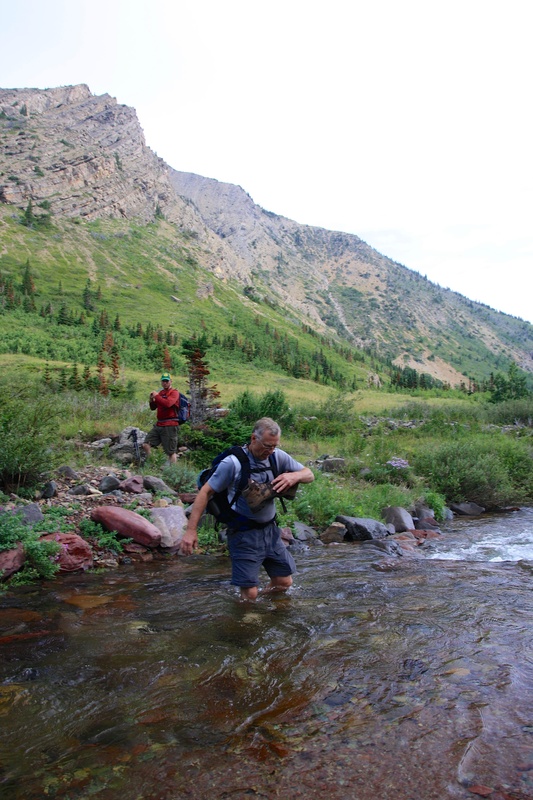 Jeff sprints across Pincher Creek. After we made it down from the valley and back to Pincher Creek, we were too lazy to take off our boots, so we just ran through. 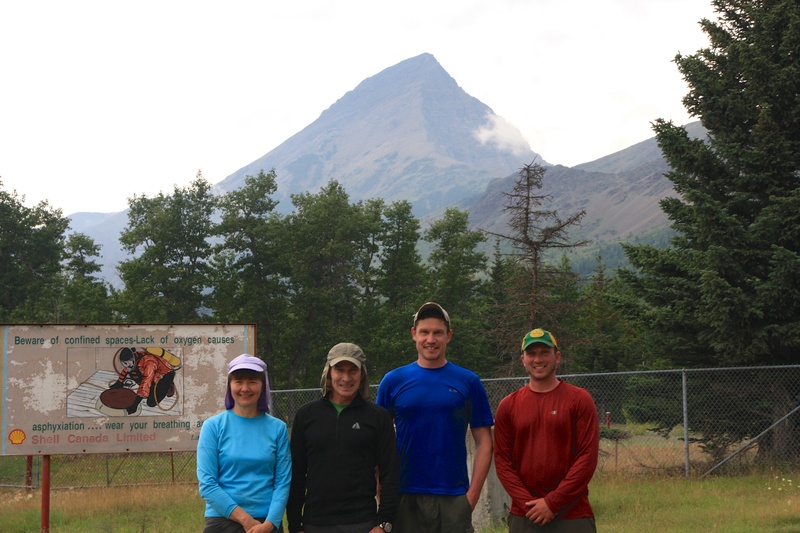 We almost never run into other hikers in the Castle Crown Region – except for today. To our surprise it was Bob Spirko and Dinah Kruze who were attempting to find a new route up Victoria Peak. 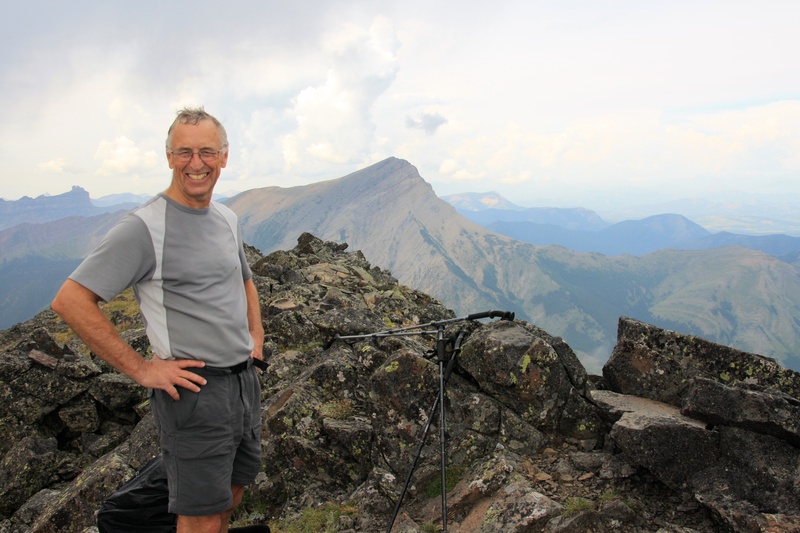 Bob and Dinah have summited hundreds of peaks and have a website that has been invaluable to us in trip planning. They were extremely friendly and gracious to us.